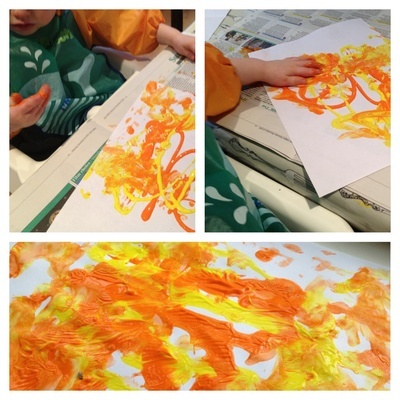 Tiny tots painting is all about the experience and less about the end result. Different colours, the feel and texture of the paint and of course the effect of spreading it around, sometimes even on the paper. With this painting, I squirted paint onto the paper first and then my son got stuck it. He squished his hands in and swished them all around. If you'd like to use the painting as a piece of art, card or wrapping paper then use a couple of complimentary colours. 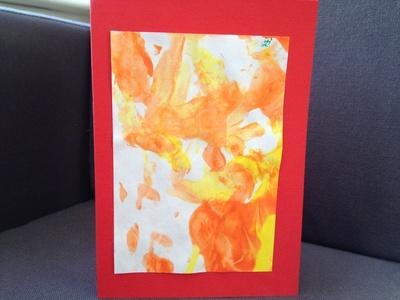 To make a card, cut a piece of the painting and glue or double side tape to a blank card. What are the best recipes using fresh dill?